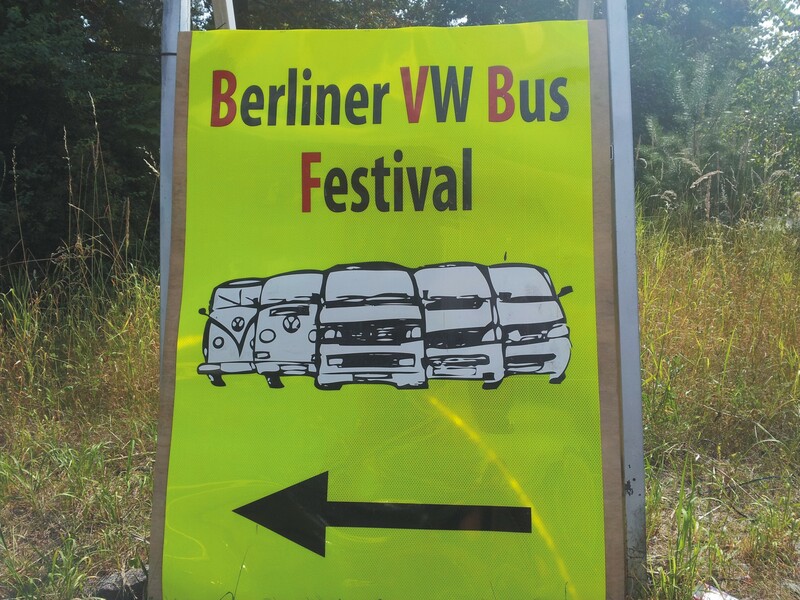 The 11th Berlin VW Bus Festival! Another kombi overload! On August 17 me and my two wonder daughters made it to this year’s Berlin VW Bus Festival! A beautiful camping weekend, wonderful sunshine and lots and lots of buses. As in the years before, the majority of buses were the VW T3 buses of the 1980s and early 1990s, with a growing share of T4, T5 and T6 buses. And my own selection of photos is again very much biased towards the two handfuls of T2 bay window buses. Hope you enjoy the photos! It starts with our camp, our 1976 bay window bus Taiga Lily and additional space with a big bus tent. The box on the roof rack was the favorite spot of my two little daughters this year! 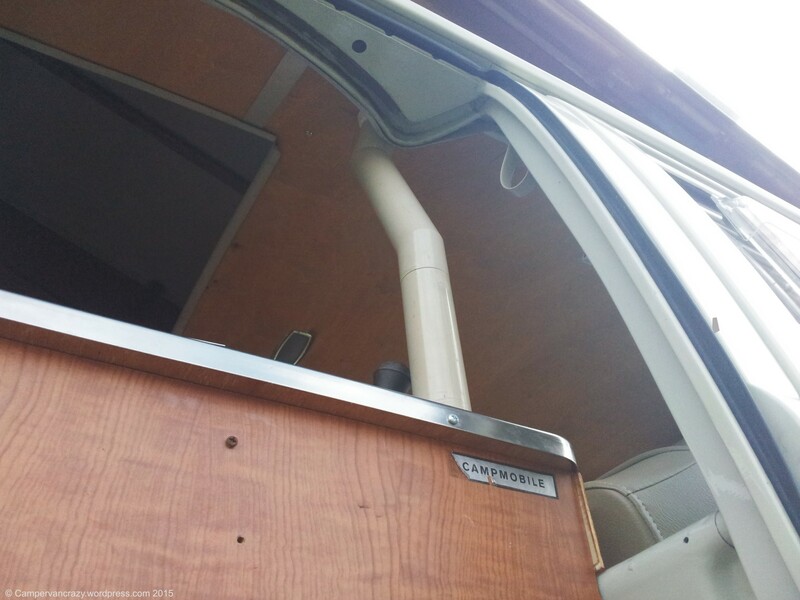 T3 Westfalia Joker campervan with an Eriba Puck caravan. T5 Campervan with a tear-drop caravan.caravan. T4 double cabin truck with the cabin of an East German QEK Aero caravan bolted to the flat-bed. Early bay window T2a bus with what looks like an ex-hearse trailer. T3 double cabin racing a Schwalbe (East German scooter) on the quarter-mile race track. And it ends with a show and shine event on Saturday evening where everyone is invited to bring their buses on the stage, give a quick intro on its special history or conversion details, and the van of the year is then judged based by the intensity of the applause of the crowed. This year, the two yellow T3 buses below, which drove over from Poland and Russia, respectively, made the first and second place! Finally, the bag with goodies that you received at arrival contained something pretty cool: This VW-dedicated set of Leipniz bisquits, which covered the first five VW bus generations, see below. The 9th Berlin VW Bus Festival starting tomorrow! 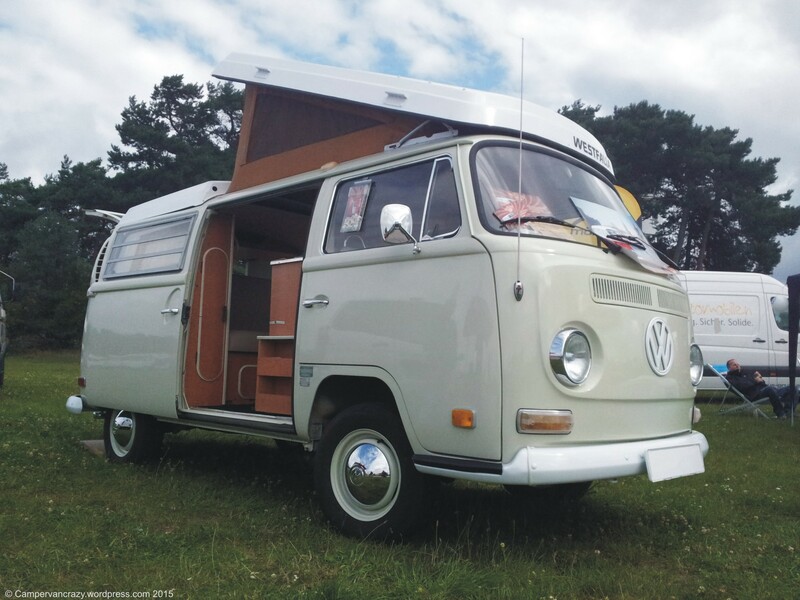 It is this time of year again – tomorrow the 9th Berlin VW Bus Festival will open its gates in Jueterbog, a bit south of Berlin. I have just carried a movable kitchen block from the cellar into Taiga Lily and started loading the camping gear. 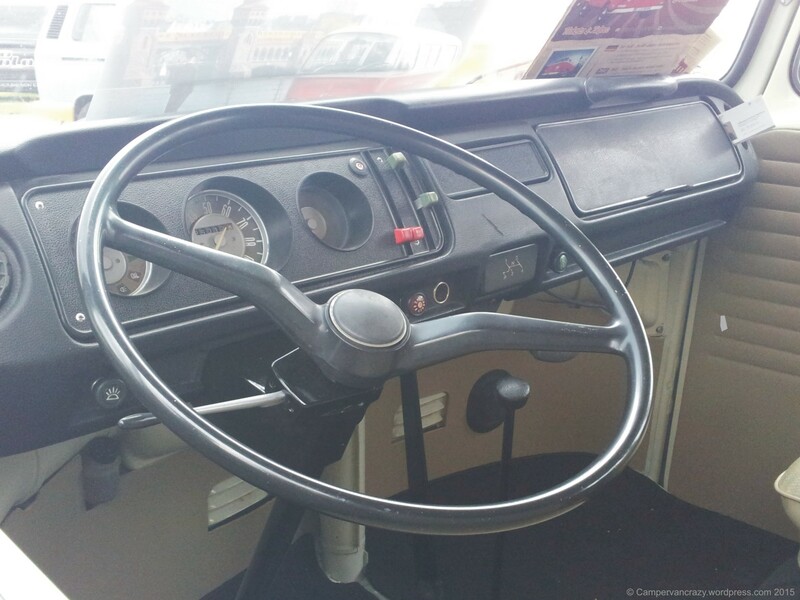 Tomorrow we will start for a two-day kombi party! If you want to join, all details can be found on the festivals web site, www.vwbus-treffen-berlin.de. Hope to see you there! 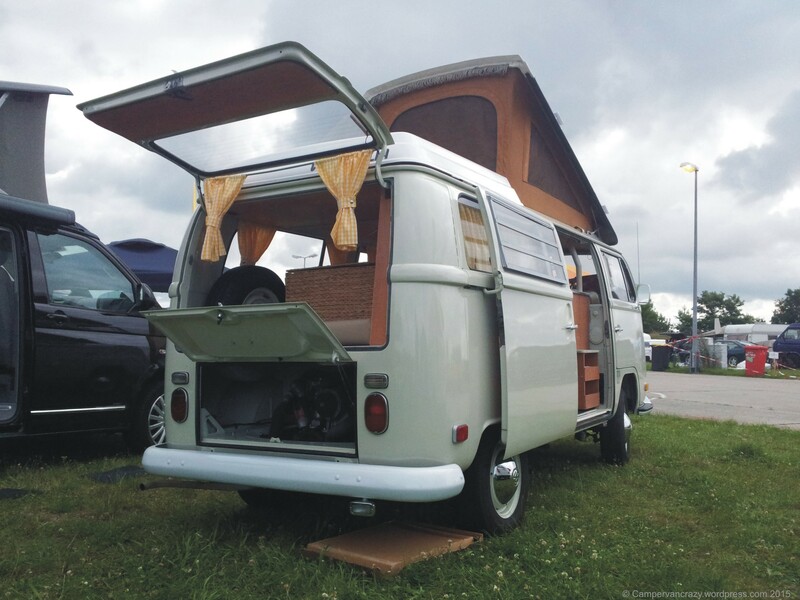 The 8th Berlin VW Bus Festival coming soon! It is time again for the next Berlin VW Bus Festival! This year celebrates the Syncro, the four-wheel drive version of the T3 which has turned 30 this year. The festival will start on Friday, August 14 on a former airfield in Jueterbog, about 70 km south of Berlin. 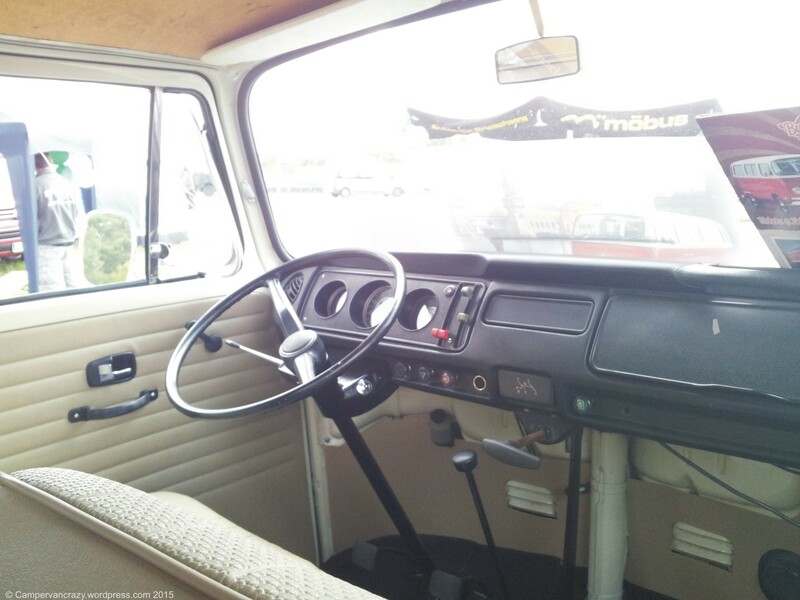 Check out the festival web site for all details, http://www.vwbus-treffen-berlin.de/ Sadly I will miss out this year. We will be on a family reunion. But I am sure this will be a spectacular meeting, so go and enjoy! 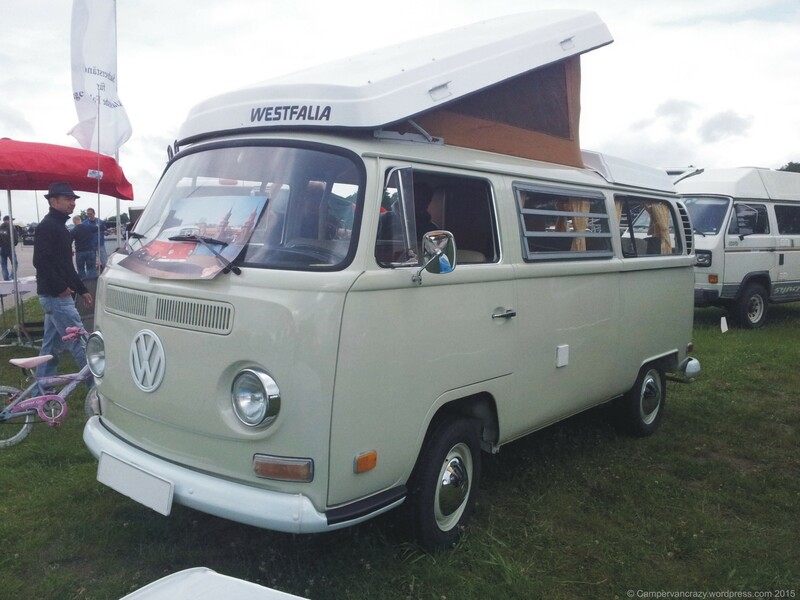 Spotted this truly beautiful Early Bay Camper at last year’s Berlin Bus Festival. It is from 1969. 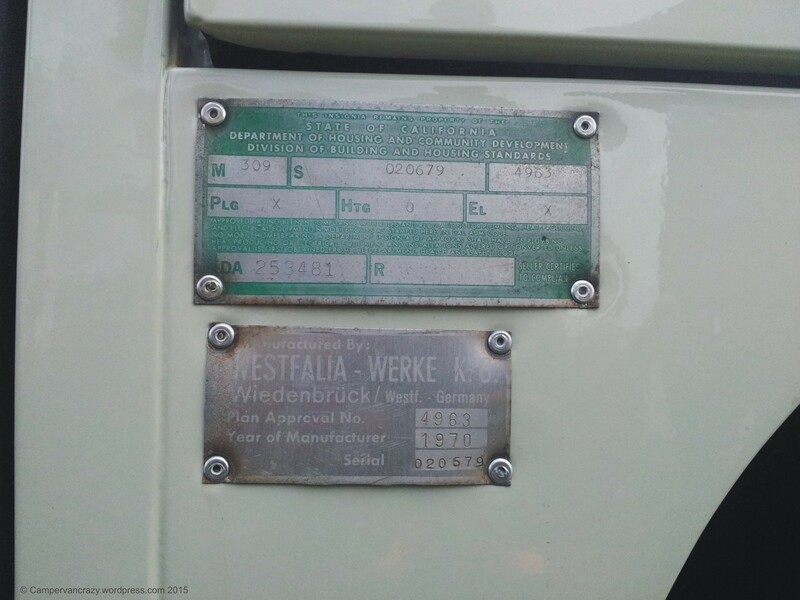 The Westfalia badge quotes the “Year of Manufacturer” as 1970 which will then be the year of conversion. The color is probably light grey (I345). The van lived most of its life in California and was re-imported and then restored in Germany only recently. 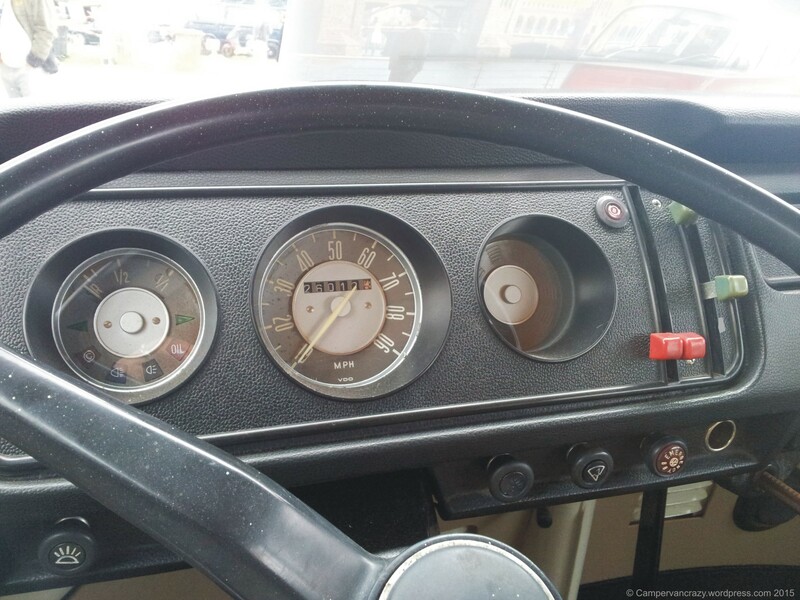 Speedo with “MPH” instead of “Km/h” and “Emergency” on the hazard light pull switch and yellow and red reflectors on the sides of the van as details for the US-American market. 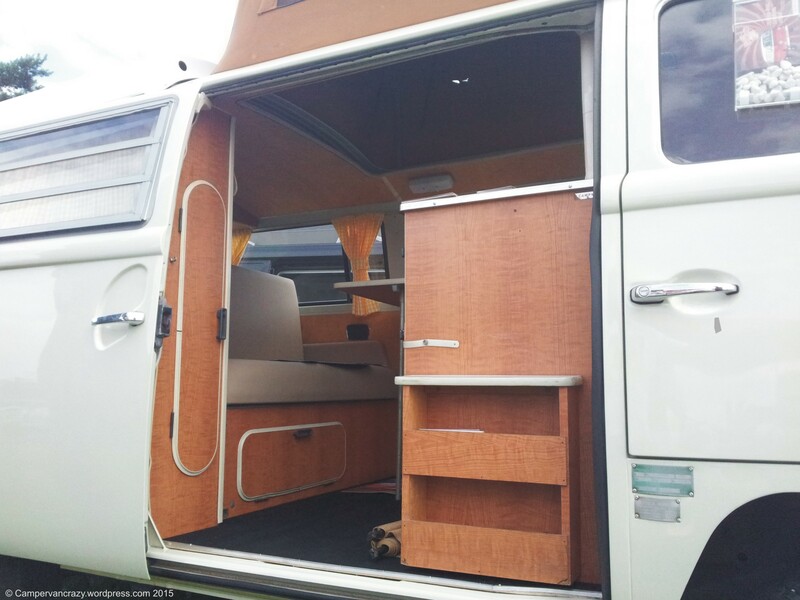 Beautiful original wooden campervan interior. Interesting exhaust pipe construction to funnel the exhaust fumes of the gas fridge out through the ceiling. 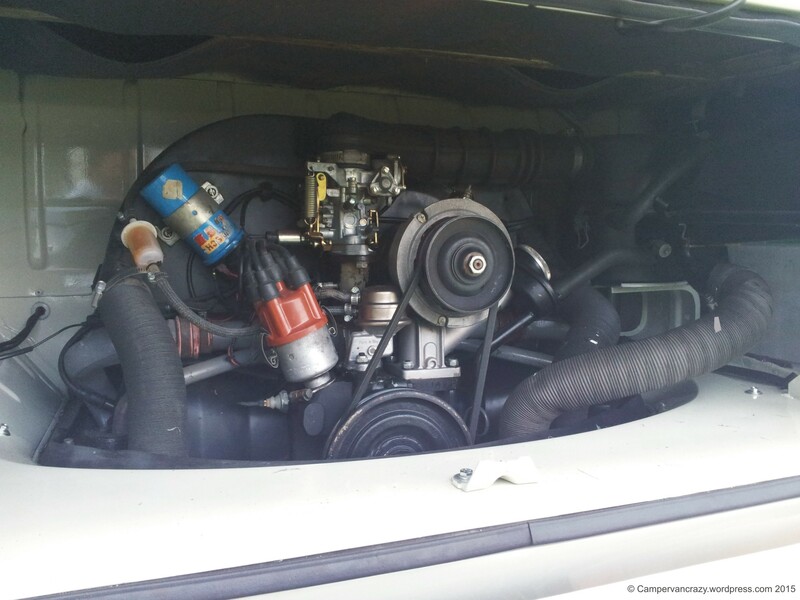 1600 ccm B5 engine with 47 horse power. Looks a bit unusual that the spare tire is in the rear and reduces the bed space. Would have expected it to be at the front of the car. But hey, might be original as well. The bus is now the pride of a fleet of about 3 kombis of “Old Berlin Bulli”, a new VW bus rental company in Berlin. They offer kombis with chauffeur service for city tours, weddings and film sets. 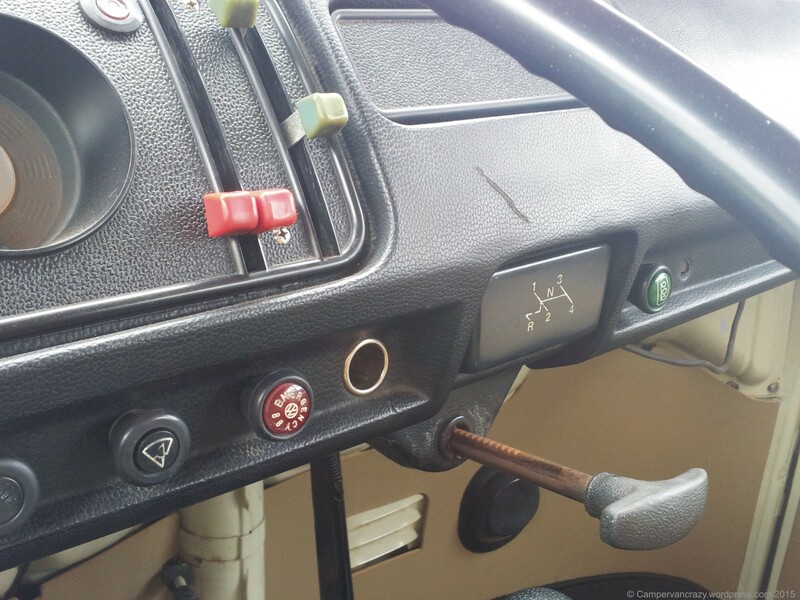 Some more technical details on this campervan (“Mr. Alvah”) here on their web site. The slightly bumpy company name probably stems from Volkswagen’s strategy to come after you if you use “Bulli” in your company name. 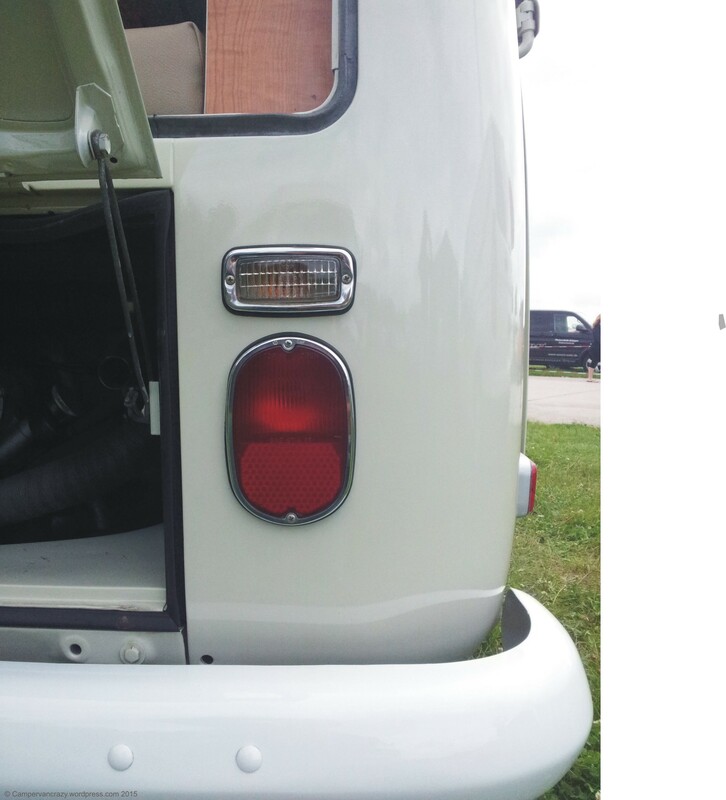 In Germany “Bulli” is the well-known and very positive nick name for the VW kombi. Volkswagen purchased the rights to this name only in 2007 and since then enforces that only VW is allowed to use it. As I understand, you have to add something like “Old” or “Classic” to your Bulli-related company name to get the official approval of VW. This seems what these guys have done as there is a little “Officially licensed by Volkswagen” note on the footer of all their web sites. Anyway, nice to see some kombi/bulli lovers have found a way to make a living of the kombi. And cool that they keep this beautiful bus in good shape and on the road!